Lebanon’s General Security says it arrested a spy ring comprised of five people who allegedly spied for Israeli embassies abroad. 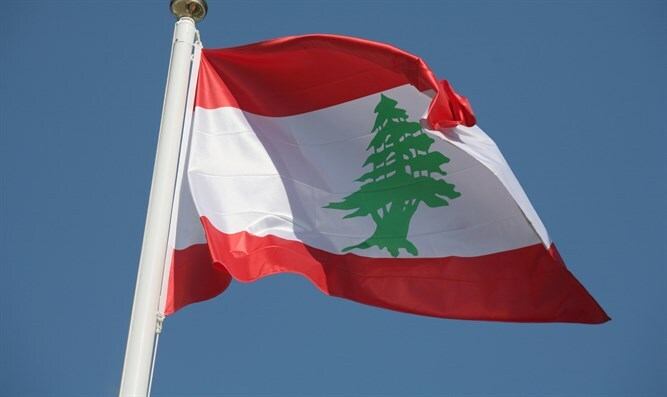 Lebanon’s General Directorate of General Security announced on Wednesday that it had arrested a spy ring comprised of five people who allegedly “spied for Israeli embassies abroad”, reports the Lebanese Naharnet news website. According to the report, the spy ring included two Lebanese men, two Nepalese women and a Palestinian Arab man. “During interrogation, the detainees confessed to the charges, admitting that they had called phone numbers belonging to the Israeli enemy's embassies in Turkey, Jordan, Britain and Nepal with the aim of spying and passing on information,” a General Security statement said. The investigations revealed that the two Nepalese women were actively recruiting Nepalese domestic workers in Lebanon with the aim of spying for Israel, according to Naharnet. “They gave them the phone number of the Israeli embassy in Nepal so that they pass on information about their employers to the Mossad Israeli intelligence agency,” the General Security statement added. “Following interrogation, they were referred to the relevant judicial authorities on charges of collaborating with the Israeli enemy and efforts are underway to arrest the rest of the culprits,” it continued. This is not the first time that Lebanon has claimed to have arrested people who were spying for Israel. In 2015, Lebanese authorities announced they had arrested two Lebanese nationals and a Syrian on allegations of spying for Israel. The three were identified only by their initials. There were no details on exactly when or where the three were detained. Several weeks later, Lebanese media reported that soldiers had detonated a "listening device" allegedly planted by Israel in the southern Marjayoun region, close to the border with the Jewish state. Lebanon is not alone, as other Arab countries have in recent years made similar claims about Israeli espionage. In 2015, for an example, an Egyptian court sentenced to jail a man convicted of “spying for Israel” in the Sinai Peninsula. Most recently, Algeria claimed to have uncovered an international spy network operating for Israel. The network was reportedly made up of 10 members and was based in southern Algeria. The members allegedly included operatives from Libya, Mali, Ethiopia, Liberia, Nigeria and Kenya.